San Diego, California – Victor* first came to the United States in 2006. He left his village in the mountains of Peru during the country’s civil war in the 1990s after his family’s cow was stolen at gunpoint. As a farmer, his family’s entire livelihood was in that cow and the lost of it forced Victor to flee. First to the capital Lima, and later to Mexico. He eventually crossed the border into the US, where he worked his way up to being a restaurant manager, and then got a job for a construction company. But in January, Victor’s mother became gravely ill and he left the US to take care of her in Peru. When she recovered, Victor made his way back to the US border, but things had changed significantly since he last crossed more than five years earlier. The border was better fortified and Border Patrol agents seemed more abundant. When he arrived at the border with the smugglers he paid to take him across, border agents could be seen in the distance. “It was a tense situation,” Victor recalled. The smugglers told him to go anyway. Moments later, he was apprehended and detained. A judge set a bail at $7,000 – money his family did not have. But he got help from an organisation, specifically designed to help low-income individuals pay their bail. The organisation, dubbed the Bail Project, is one of many ways groups and individuals are supporting migrants and refugees at the border. 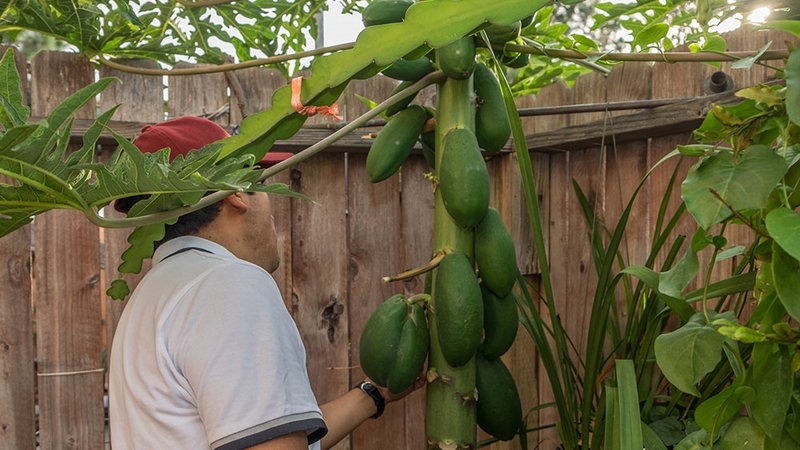 The projects have gone into overdrive in the last two years, seeking to combat President Donald Trump’s “zero-tolerance” policy and anti-immigrant rhetoric. The Bail Project grew out of The Bronx Freedom Fund, which was started about a decade ago to “combat racial disparities and mass incarceration”. Last year, it started to expand to other high-need sites, such as San Diego. Since August, the organisation has bailed out about 750 undocumented individuals who were arrested in and around the San Diego area. The organisation hit a new hurdle in October when a judge started to require that individuals have a “third-party custodian” to take responsibility for the defendant while he or she was out on bail. “You can directly support the #MigrantCaravan and get people out of detention,” the Bail Project tweeted last month. “By servicing as a ‘custodian’ for someone charged under the Trump admin’s ‘zero-tolerance’ policy, you can ensure someone’s release & give them a fighting chance at asylum,” the tweet read. So far, the Bail Project has signed up at least 20 people to act as third-party custodians, according to Patrick Sullivan, the San Diego coordinator for the project. Victor was released prior to the third-party custodian requirement. He has appeared at all of his hearings, just like 95 percent of the cases in San Diego the Bail Project is involved in, Sullivan said. Elsewhere in San Diego and on the other side of the border in Tijuana, people are showing their support for migrants and refugees hoping to make it to the US. Most recently, groups have organised in solidarity with thousands of mainly Central Americans who have arrived in Tijuana in recent weeks as part of a mass exodus, initially dubbed the Central American caravan. More than 6,000 migrants and refugees have arrived in the Mexican border city, with the majority hoping to apply for asylum. Asylum seekers have been told it may be two months before they are able to enter the US to submit their asylum claims. Last month hundreds of people from San Diego rallied at the border in solidarity with the migrants arriving at the border to apply for asylum. Looking at them separating kids from their families, I couldn’t help but think of the Second World War and fascism. What is happening now is a well known cycle. But the people can resist. We just have to be aware of what is happening. One of the protesters, 62-year-old Katherine Pettus, who used to teach political science at Columbia University, said she came out in protest of the current government. Other groups have filed lawsuits on behalf of the asylum seekers. Al Otro Lado, a southern California-based organisation, filed a complaint against high-level government officials, including the Secretary of Homeland Security Kirstjen Nielsen. The lawsuit accuses the government and Homeland Security of actively turning back asylum seekers who are at risk of violence in their home country. US Customs and Border Protection maintains it processes asylum seekers “expeditiously as possible”. 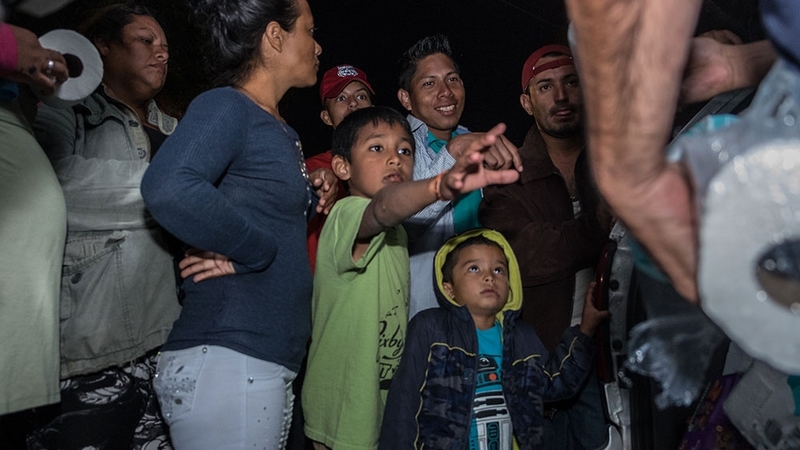 Several other organisations, such as BorderClick and the Otay Mesa Detention Resistance, have put out calls on social media for donations for the migrants in Tijuana. They have asked for blankets, diapers, general hygienic products and food. The Border Angels, a group that has been active since the 1980s, supports asylum seekers with legal advice. They also try to coordinate donations from people in the community and bring it to shelters on the other side of the border. Hugo Castro, who works with the Border Angels, said the group has been increasing the number of donation runs it makes. Before the Central American exodus arrived in Tijuana, the group would go once or twice a week. Now, it goes twice a day. 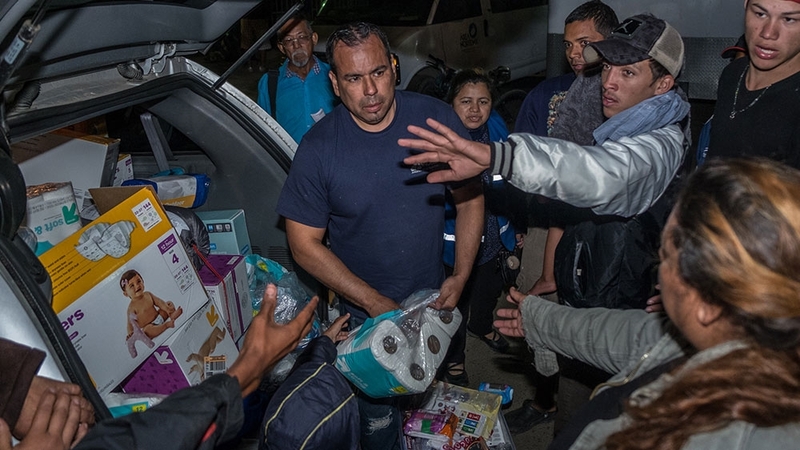 In Tijuana, Castro handed out blankets, diapers and hygienic products to refugees and migrants at the stadium in Tijuana where most of the Central Americans were being housed, prior to its closure earlier this month. Maria-Elena, a Honduran woman, carrying her young daughter Genesis on her shoulders, told Al Jazeera she was happy so many people donated products they wouldn’t be able to get themselves. She was hoping for deodorant and a blanket. A year and a half ago, Castro got into trouble in Tijuana. He was kidnapped and severely beaten up by people he doesn’t know. He suspects it is due to the the years of work the Border Angels have done. “After that I became careful and suspicious,” Castro told Al Jazeera. But like so many of the individuals supporting migrants and asylum seekers, Castro said he must continue to do this kind of work. *The individual’s name has been changed to protect his identity. What’s next for Brexit after PM May’s latest defeat?